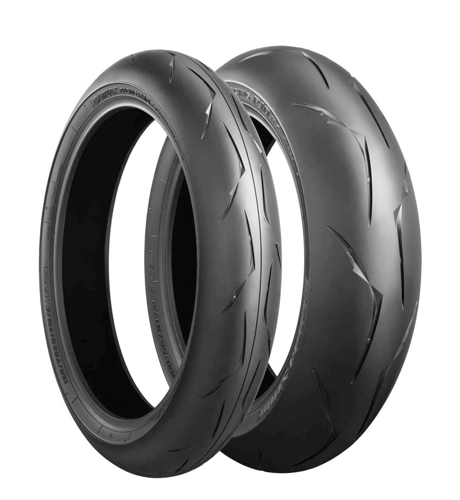 It’s that time again when we take a look at the best motorcycle track day tyres riders can get their hands on today. What you’ll find here is the stickiest, street legal track rubber that each manufacturer offers as of the time of this writing. Some you will likely recognise, others perhaps not. When looking at track day tyres at this level, it’s always worth remembering that the tyres are built to a very high standard. Proven by the fact that some domestic and even world stage race championships use them. For this reason I wouldn’t get too hung up on which is the absolute best if your budget doesn’t allow it, or you can get a good price on something that’s different to what you feel you should be running. The RACETEC RR was released about a year ago as the successor to the RACETEC INTERACT. It picks up right where the INTERACT left off by aiming itself squarely at the racing and track day crowd, as well as offering similar compound options. The differences come in a few new profile options, along with a new tread design to improve water drainage. Even though it is clearly intended as a dry tyre, Metzeler are claiming the tyre will work in all conditions, so at least you know the tarmac won’t feel like sheet ice when the going gets a bit moist. Reviews are showing the RR to be a clear improvement in outright dry performance, and if Metzeler’s claim of a 20% improvement in mileage are to be believed, the RR is a clear step forward from the INTERACT’s performance. K1 SOFT – Like the previous iteration, the K1 will likely be found most often on the front, in conjunction with a K2 on the rear. K2 MEDIUM – The most popular choice for track day riders in particular, largely because they offer superb grip for the vast majority, as well as a longer life span. K3 HARD – Like the K3 of old, this RR K3 is aimed more at road riders that want to throw in the odd track day too. Really, the K3 sits in a different category of tyre. Ask anyone who knows anything about race or track day tyres and the Pirelli Supercorsa SC will be pretty high on their list for outright performance. I would go as far to say that the Supercorsa is the most popular tyre here in the UK for track riding, and for good reason. You’d be forgiven for thinking that this tyre is getting old, but the Italian manufacturer is constantly updating their jewel to stay with (and sometime ahead) of the curve. Being a control tyre in support classes for both British and World Superbike helps them achieve that, but it also shows just what these tyres are really capable of. SC0 SUPER SOFT – The SC0 can be found in rear tyres only, but you won’t often see it around the track day paddock. While they offer immense grip, they aren’t designed to last long. SC1 SOFT – Like the RR K1, the SC1 will more than likely find its way onto the front tyre exclusively. SC2 MEDIUM – The compound of choice for the rear tyre, it offers ample grip while giving the best mileage of all the available compounds. The ContiRaceAttack Comp has been around a while now and it is slowly gaining a reputation on the track day scene as being a viable track tyre over the usual options. 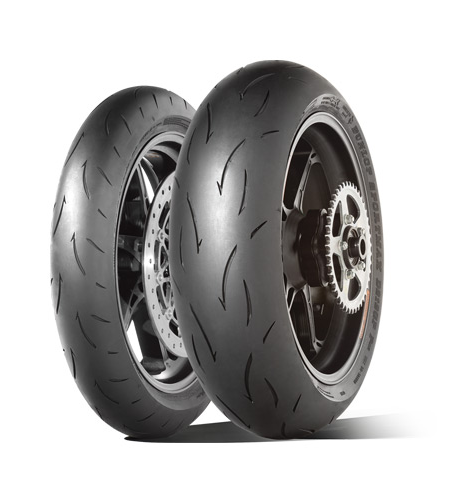 Developed by some of the same minds that brought you the above two tyres, the ContiRaceAttack Comps are consistently being praised by track day riders as an equal to the above. The biggest benefit the Comps have right now is that they are still considerably cheaper than the others here. As much as £60 cheaper, depending on where you buy. I actually ran the Endurance compound tyre (which is a more road biased compound) for two seasons on my R6 a couple of years ago and they easily cut it in the fast group. If you’re buying new, the ContiRaceAttack Comps should be a serious consideration. 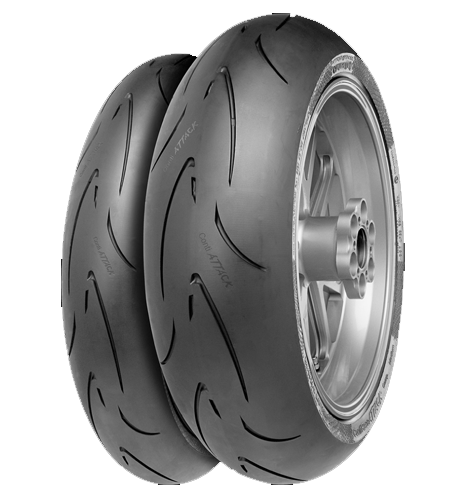 SOFT – As is the running theme, the soft tyre is the compound of choice for the front, in conjunction with a medium rear. MEDIUM – Excellent grip, more life; you’ll find the medium on the rear or most setups. 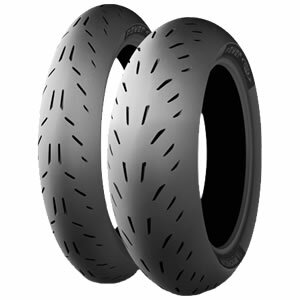 In all the time I’ve been doing track days, riders have been looking to the top of the track tyre tree at the very best it has to offer – the KR106/108 slicks. What you’ll find in the D212 GP Pro is essentially a treaded version of the coveted uber slick that so many rave about. It features the same technology including Dunlop’s NTEC system, Jointless Belt Construction and Jointless Tread. While they will admit that other manufacturers make great tyres, Dunlop pull no punches in saying that they are the absolute best at what they do. Many would agree. A caveat is that the tyres are very expensive. If you can afford them, however, many riders would tell you they’re the ones to go for. Dunlop’s compound structure isn’t quite as simple as the previous manufacturers. Meaning to say, it’s complex. They have five compounds in total (labelled 1,2,3,4 and 5), but not all compounds are available for both ends, nor all tyre sizes. For an up to date reference of which compounds Dunlop recommend for different conditions, check out the compounds table on their website. Yet another tyre that has been around for a while now, but even though it was launched in 2011 the Battlax R10 has also seen some profile and compound changes to keep the tyre up there with the rest. The R10 can live with the rest of them here in performance terms, and the only thing to note is that they take longer than most to get up to operating temperature. Even in warm conditions it has been noted that it takes some time to get them up to speed. Type 2 – The softest compound and the one chosen for the front. Type 3 – A medium compound tyre you’ll find on the rear. The Power Cup Evo was one of six new tyres launched by Michelin in 2015, with this particular tyre being the most track focused street legal option of the bunch. Michelin haven’t been as popular in the UK in recent years, with the track offerings from manufacturers like Pirelli and Metzeler taking lion’s share of the attention, but overseas in America they still have a large presence, and the Power Cup Evo is getting high praise. The Evo was released as an upgrade to the original Power Cup track tyre, and as such it brings with it improved grip and tyre life. A trait of the Michelin is the extra flex you’ll find over most other options. This can make them more difficult to find a good setup, but when you do it should also mean more overall feel. Another trait, like the Battlax R10s, is the need to work them a little more to get them to operating temperature. Another great option if they can be found at the right price. 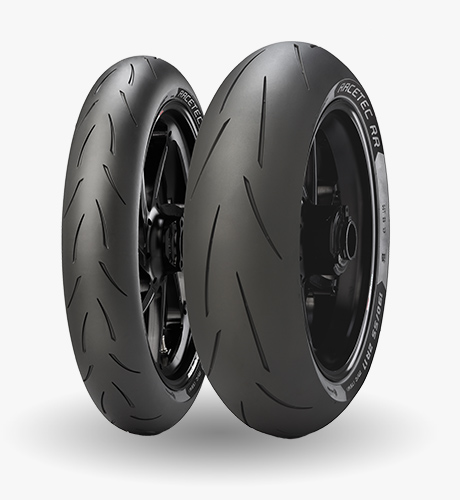 As of this writing I’m very intrigued to try the RACETEC RR which I haven’t done yet, but at their current price point (right up there with the 212 GP Pros) it would be a bitter pill to swallow when the Pirellis are so good. 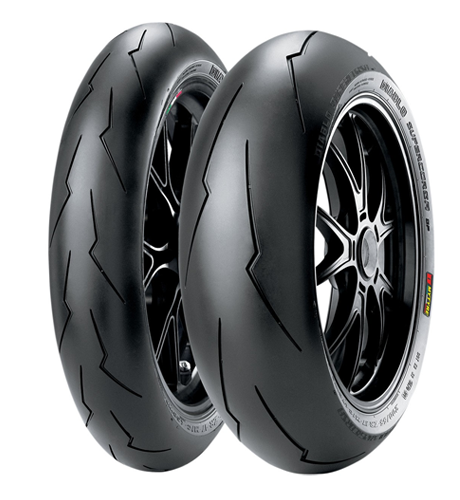 If I were buying scrub tyres I would stick with the Pirellis for now, being that they are so readily available in the UK with them being a control tyre in BSB support classes, meaning you can pick a set up for good money. Buying new, however, I have to say the price and performance of the ContiRaceAttack Comp is hard to ignore. Being noticeably cheaper than all of the other options while still giving great performance, they have to be my pick right now for track day riding specifically.